Buddy Bike events and places to see and try the Buddy Bike. No events in your area? Sign up for our e-mail list including your city and state and we'll let you know of Buddy Bike news and events in your area. 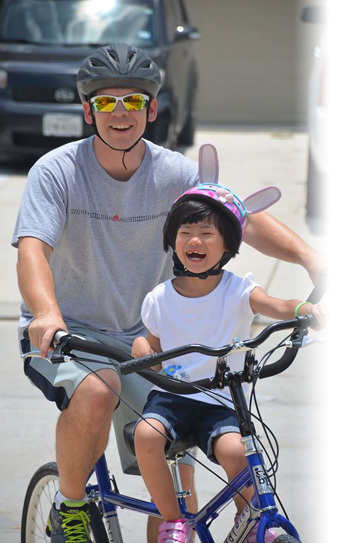 Buddy Bike FREE demonstrations and test rides at schools, camps, organizations, hospitals, parks & recreation and bike rental locations. In select cities from FL to OH. Contact shelley@buddybike.com to schedule a demo. Try a Buddy Bike with electric assist at the GeoOrbital booth! Bay Area Outreach Program (BORP) booth! at the Bike-On booth #154! Try a Buddy Bike Family Limited Edition at the NuVinci booth 902. Try a Buddy Bike Family Limited Edition at the NuVinci booth. Visit the Assisted Cycling Tours booth to try a Buddy Bike. Features advocacy, support groups and special needs resources. History, nature, shops and more! at the Bike Chicago booth.